Erin has more than seven years of experience as a project manager in the SaaS field and specializes in billing solution implementation. In the years prior, Erin worked as a Stage Manager for various productions in the Philadelphia and D.C. areas and in operations for a start-up. In operations, Erin used her skills from Stage Management to drive various initiatives. She was referred to as a natural PM from the start. Following Project Management classes at Villanova University, she agreed to officially accept a role in project management. Erin cut her teeth working on internal initiatives, managing teams and projects all over the globe. After successfully hiring a team of DBA’s, System Administrators, and a highly skilled writer to help her scale the Operations team and implement new processes to support the growing business, Erin chose to move to the client-facing world. As an Implementations Project Manager, Erin continues to draw parallels to her start in theater: A cast and crew are formed, months are spent working along a schedule that leads to dress/technical rehearsals and eventually you, quite literally, go live. Each production is unique, but they all follow the same formula and principles to keep things moving along, organized and changes properly tracked. It’s with this background that Erin approaches her roles and has always been able to find the value in People, Process, Technology alignment. 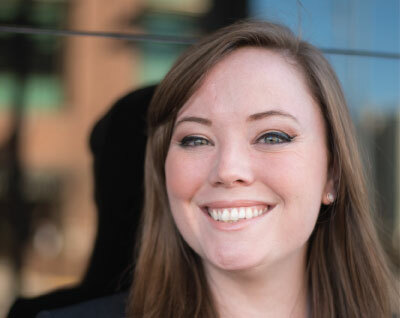 Erin has had the honor of being the Project/Program Manager for 15+ career implementations. As Operations Site Supervisor, Erin was responsible for the oversight of multiple teams maintaining multiple PCI environments. Erin project managed the early phases of Aria’s LiveRelease process, from simply minimizing release downtime to the celebration of their first no-downtime release. Erin has driven multiple process improvements for Aria’s implementation methodology and remains involved today in the build-out of ATG’s Aria-Atlas repository. Erin is a member of both the Aria and goTransverse Partner Communities of Practice as a PM specializing in billing implementations.